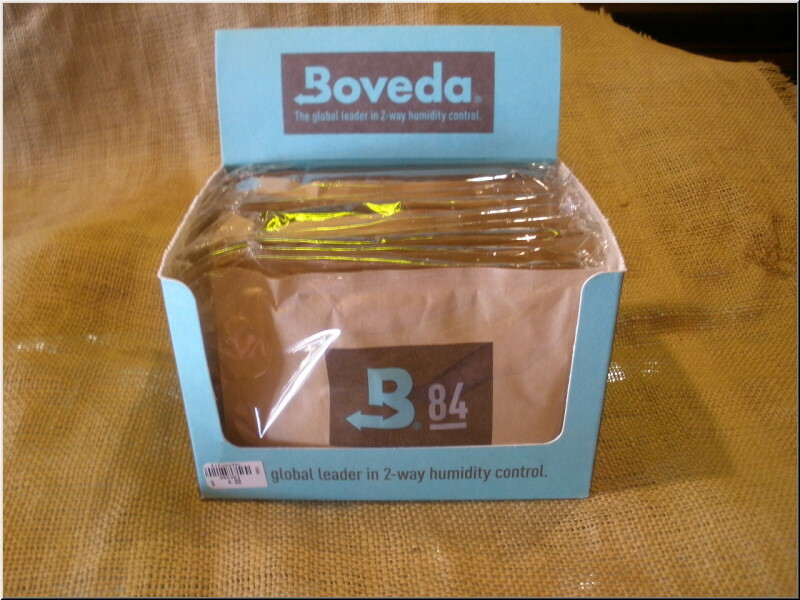 From Humidpak comes Boveda Humidity Control packs. These little packets provide the perfect humidity for your humidor and cigars. They last 2 months. Use 2 packets for every 25 cigars. 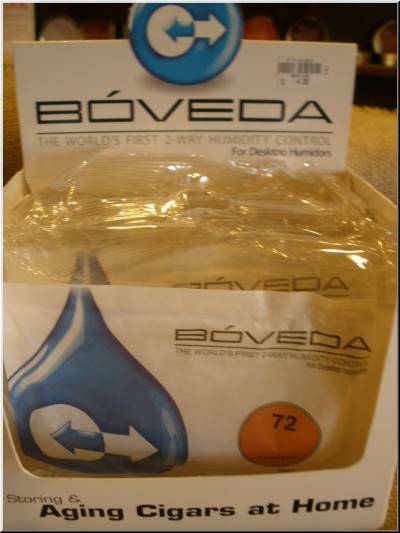 Acrylic Humidors, Coolidors, Tupperdors, Humidor Bags, retailer store baggies and other airtight or nearly airtight environments don�t require Boveda to release excess moisture in order to maintain the perfect aging environment. 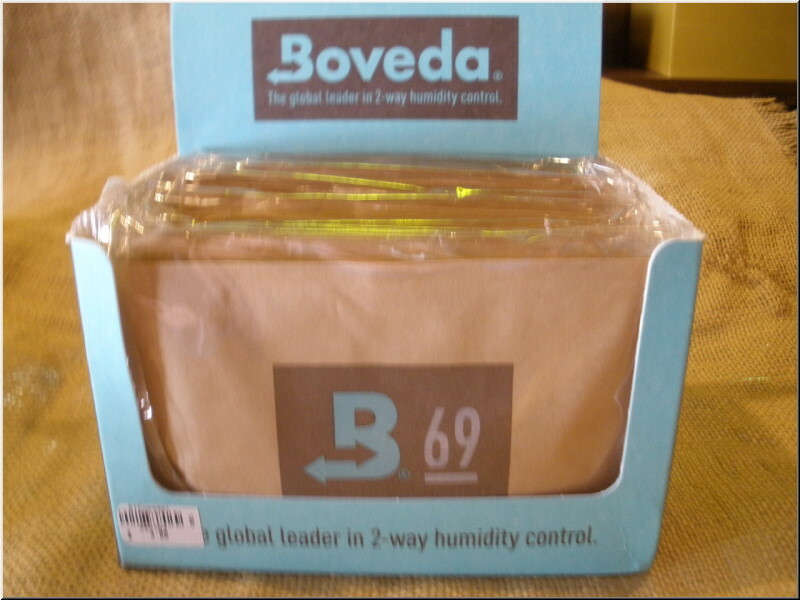 Boveda will release or absorb moisture until the air in the container is a perfect 69% relative humidity, which is only small changes in a airtight environment. Also if you have a very high-end, thick and well made humidor ie: Elie Bleu, Davidoff, Dunhill, and Daniel Marshall for example, the 69% RH formula is going to be perfect for those applications. 72% is too high for tobacco storage in an air-tight environment, but ALL humidors leak air. When you account for this leakage in a middle-of-the-road quality humidor, you�ll probably be right in that 68-69% sweet spot for cigar storage. Typically 84% RH is used strictly for seasoning (or re-seasoning in the dry winter months) wooden humidors. Exposing wood to an environment of 84% relative humidity for a period of 2 weeks is the perfect procedure to safely and slowly expand the wood while it absorbs the moisture from the air.